BELIZE CITY, Wed. Jan. 11, 2017–As we reported in our mid-week edition, the Government of Belize has lost three petitions filed in the US Supreme Court in an attempt to fight off the enforcement of arbitral awards handed down back in 2009 in disputes with foreign investors over agreements they had with the Government of Belize. Two of those awards together totaled US$50 million (or BZ$100 million) at the time of Monday’s ruling by the highest court in the US jurisdiction. Financial Secretary Joseph Waight told us last month, when we questioned whether there are assets overseas that could be seized, that there is none; and the only asset, an embassy building, is protected under the Geneva Convention. However, the claimants will evidently persist in seeking payment from the Government of Belize. 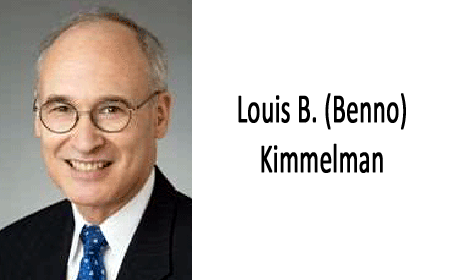 “When there is a judgment, there is an obligation to pay,” said Louis B. (Benno) Kimmelman, the lead attorney for Sidley Austin LLP in New York, the firm which represented the claimants in the two cases: Belize v. BCB Holdings Limited et al. and Belize v. Belize Social Development Limited. He noted that the Government of Belize fought every step of the way to prevent the awards from being turned into judgments, and questioned why the Government was resisting enforcement of the awards over the past 7 years if there are no assets to attach to meet its payment obligation, as the Government has claimed. The cases are final and not subject to any further appeals and they can be enforced in the US for many, many years after they were issued, Kimmelman told us. In a third case which the law firm is handling in relation to another arbitration award for BZ$22 million handed down by the London Court of International Arbitration (LCIA) that has been enforced in the United States, Kimmelman told us that the Government of Belize has appealed this judgment to the US Court of Appeals and oral arguments are coming up next month in that case. This dispute is between the Government of Belize and BCB Holdings/Belize Bank, now identified as Caribbean Investment Holdings Limited, over a 2005 settlement deed, which the company said that the Government had wrongfully repudiated when a tax dispute arose between them. Government has maintained that the enforcement of the award is contrary to public policy. It also points to a ruling by the Caribbean Court of Justice (CCJ) against the bank in the same matter. The Government of Belize did not participate in the LCIA arbitration proceedings, claiming that it would fight the matter if an attempt were to be made to enforce the awards in Belize. It remains to be seen whether the Government of Belize will fight this fourth arbitral award at the level of the US Supreme Court, the final tier in the legal system there. Belize has already had three strikes in the US Supreme Court: the third was the court’s decision also issued this Monday not to hear the Government’s petition against the enforcement of a BZ$8.5 million award in favor of Newco over a botched airport concession deal. That arbitration was heard in Miami. Together, the awards now total at least BZ$150 million. Last year, the Government was slapped with its biggest arbitration tab in the nation’s history—half-a-billion-dollars, in the dispute with the former owners of Belize Telemedia Limited over the 2009 nationalization of the company. The final payment, totaling roughly BZ$180 million, has to be made this July.